THE BEADY EYE SAY’S: BRIXIT IS WELL ON THE WAY TO A HOG WASH DEAL. England is gradually learning that their initial ambitions for Brexit are unrealistic and few will deny, the EU is in urgent need of reform. Talks can now move on to their next phase with a two-year time capsule transition period with no proportional link whatsoever between IQ and wealth. The EU has got rid of the UK but the UK has not left the EU. Brilliant! This creative ambiguity means big battles still ahead. If we believe that there is no deal till the whole deal is approved, we need our heads examined. Its taking shape whether we like it or not. A deal which has everything and nothing to do with people. 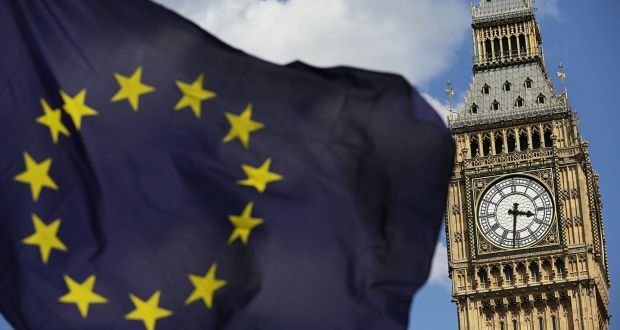 Under the new agreement brokered Friday, EU and U.K. citizens will get to retain their rights “derived from Union law and based on past life choices, where those citizens have exercised free movement rights by the specified date. That means they will get to keep their social security and health care, their employment and education rights, and their “tax advantages.” However, there’s a big downside too—they will be bound to the country where they’re living. For Brits that already live in EU countries that aren’t the U.K., that means they would lose the automatic right to then move and live anywhere they like within the bloc. Basically for Brits in rest of EU: applying for a new passport is the only way to secure Freedom of movement. EU citizens living in the U.K. will get to retain their EU rights after Brexit, the British courts will still have to defer to CJEU judgements that affect those rights. When it comes to Northern Ireland and Ireland border the consequences of a hard Brexit are of little consideration as long as unionist objectives are met. Even more concerning is the free rein that Foster has in the absence of Executive constraint in Northern Ireland. The Never Never party simple desire is to reassert unionism not to represent the people’s of Northern Ireland. It is the party’s reasoning behind the rejection that is of concern – their willingness to jeopardise everything for a hard Brexit that secures their unionist identity. The DUP argues that it does not wish to see a hard border between North and South, yet their actions in recent days clearly indicate a desire for a hard Brexit, which must mean installing a hard border. Naïvely both the EU and England are overlooked the historical and contemporary politics and culture of the DUP. On the border issue, the U.K. and EU have essentially agreed to kick the can down the road, in order to stop talks from breaking down entirely. But what’s new—and huge—is that if there’s no resolution to this question, the default position will be the U.K. staying within the single market. This will ideally be the result of the overall U.K.-EU relationship that exists after Brexit, but if not, the U.K. will suggest a specific deal regarding that particular stretch of border. If that proposal doesn’t fly, the whole of the U.K. will basically have to stay within the EU internal market and customs union—and there will be no new regulatory barriers separating Northern Ireland from the rest of the U.K.—unless Northern Ireland wants them. And whatever happens, Northern Irish businesses will retain “unfettered access” to the U.K. market. On top of all that, everyone who was born in Northern Ireland will retain their right to EU citizenship (though this is less of a novelty, as Northern Irish people can already claim Irish citizenship anytime they like). If we are not vigilant we could all end up as hog wash.